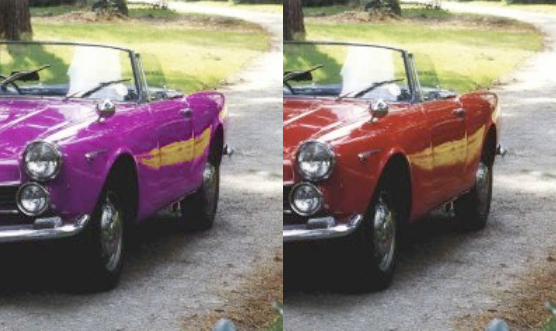 Gimp, the open source photo editor, has a quick and easy way to swap primary colours using the hue-saturation tool. This is an effective tool which transforms an image in under a minute. Selection doesn’t have to be particularly precise either (dependant on your image). I have attached part of a tutorial to show you how to do it and the image used in the tutorial. Give it a go yourself using Gimp.